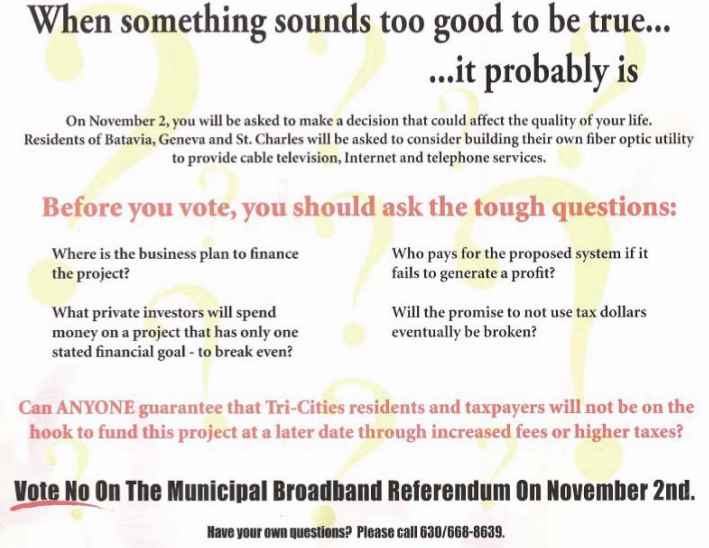 A series of patronizing, untruthful fliers were distributed by big telecom to sway the vote to create a municipally owned fiber network. In the days leading up to Halloween back in 2004, residents of the small town of Batavia, Illinois received a flier in the mail, from Comcast. Here's what it said: "Having Halloween Nightmares? Ghosts? Goblins? Witches?… A Municipal Broadband Utility?" The city (and two others nearby) were getting ready to vote on a referendum measure that would have created a locally owned fiber network, set to be both faster and cheaper than the services offered by Comcast and SBC Communications, which is now owned by AT&T. Municipally owned broadband networks have taken off in cities around the country and have won rave reviews from citizens lucky enough to get it—muni fiber, as it's often called, is often tens of times faster than services offered by Comcast or other broadband providers and is usually cheaper than big telecom options. But its rollout has been slow nationwide, partly because of political and legal roadblocks put up by whatever cable company is already servicing the area. If there's any doubt that the competition-killing practices of the "incumbents" is nothing new, look no further than what happened in Batavia and the neighboring towns of Geneva and St. Charles. In the months and weeks leading up to the vote, the two companies bombarded residents and city council members with disinformation, exaggerations, and outright lies to ensure the measure failed. It did, narrowly, twice: In April 2003 and November 2004. Before the ISPs' disinformation campaigns, support for the project was up over 72 percent. The series of two-sided postcards painted municipal broadband as a foolhardy endeavor unfit for adults, responsible people, and perhaps as not something a smart woman would do. 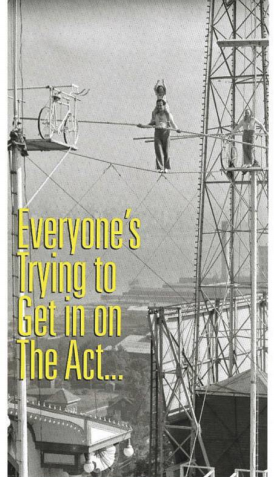 Municipal fiber was a gamble, a high-wire act, a game, something as "SCARY" as a ghost. Why build a municipal fiber network, one asked, when "internet service [is] already offered by two respectable private businesses?" In the corner, in tiny print, each postcard said "paid for by SBC" or "paid for by Comcast." 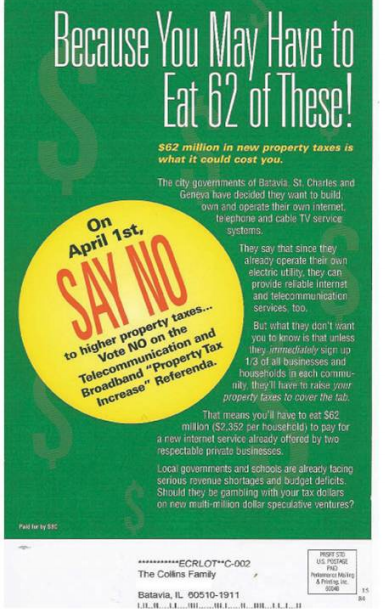 "Don't give the broadband referendums a GHOST of a chance," one sent by Comcast read. To be clear, the "facts" cited on these postcards are exaggerated and at times outright false. The companies cite case studies of municipal fiber programs that later ended up being successful, or cite programs that died because of telecom interference and lobbying in other states; they cite figures that are worst-case scenarios that would occur only if literally zero people in the cities signed up for municipal broadband. "All the subscribers got these extraordinary fliers. Ghosts, goblins, witches. I mean, this is about a broadband utility. Very scary stuff. This is real. 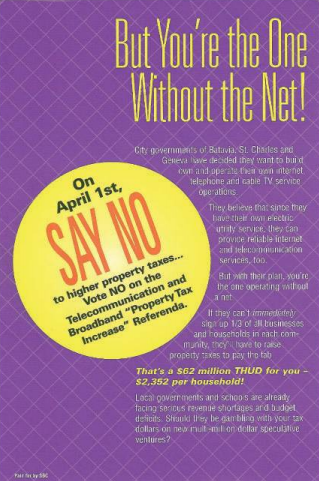 This is comical, but this is very real," Catharine Rice of the Coalition for Local Internet Choice said of the fliers at an event discussing municipal fiber earlier this year. "They have this amazing picture, and then they lie about what happened. They're piling in facts that aren't true." Lebanon, Ohio, for instance, wasn't a failed experiment in municipal broadband. Rice says that Time Warner lobbied the state legislature there to make a law preventing the city from expanding the service beyond the county it was in, ruining the city's stated business plan. After 12 years of mostly successful operation, the city sold the infrastructure to another telecom company. It didn't stop at fliers. 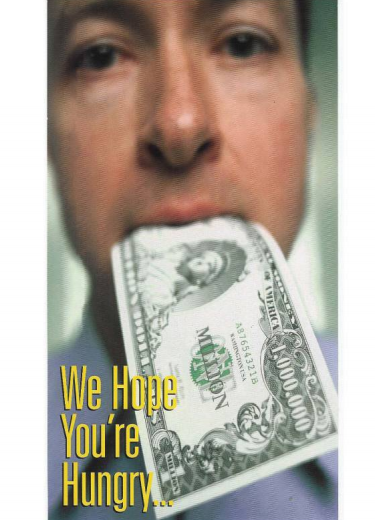 The disinformation campaign was explored in depth in 2005 by David Case over at Mother Jones, who reported that Comcast and SBC also funded "polls" in which citizens were asked questions like "should tax money be allowed to provide pornographic movies for residents?" The results of those polls were shoved into opinion pieces in local newspapers and trumped up to make it look like there was widespread opposition to the measure. 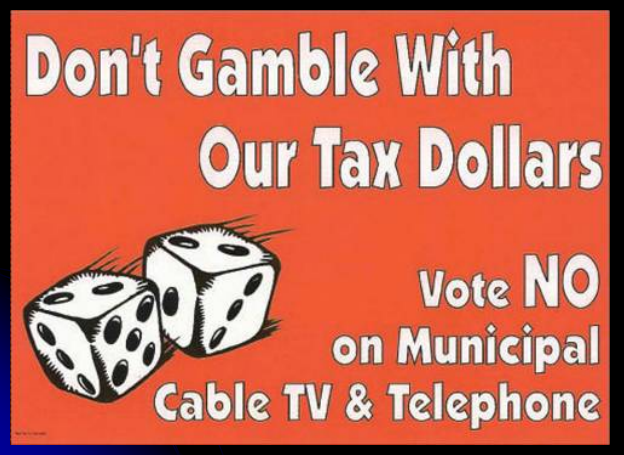 During the lead-up to the 2004 referendum vote, Comcast spent $89,740 trying to defeat the measure. SBC spent $192,324. Fiber for our Future, the group trying to push through municipally-owned fiber, spent $4,325. Meanwhile, Kirk Brannock, midwest networking president for SBC at the time, told city council members in the area that "fiber is an unproven technology." "What are you going to do with 20 Mbps? It's like having an Indy race car and you don't have the racetrack to drive it on. We are going to be offering 3 Mbps. Most users won't use that," he said. This isn't an isolated incident from a decade ago. The practice continues today—perhaps not this brazenly, but that's because major ISPs have already protected their monopolies by getting states to pass laws that prevent this kind of thing from happening. If there's any doubt it'll happen again, just look at the legal roadblocks the industry is trying to throw up in North Carolina and Tennessee.